Ahead of the forthcoming primaries of the All Progressives Congress (APC) in Imo State, the national chairman of the party, Comrade Adams Oshiomhole, has moved to resolve the crisis rocking the state chapter. Oshiomhole, who waded into the crisis, said the party had told Governor Rochas Okorocha led faction of the party to take 55 per cent of the party structure in the state while the other group led by Senator Hope Uzodinma takes 45 per cent so as to achieve lasting peace in Imo APC. In a statement issued by Oshiomhole’s Chief Press Secretary, Simon Ebegbulem, the party said it may adopt direct primaries in the state to avoid litigations that may affect the candidates. 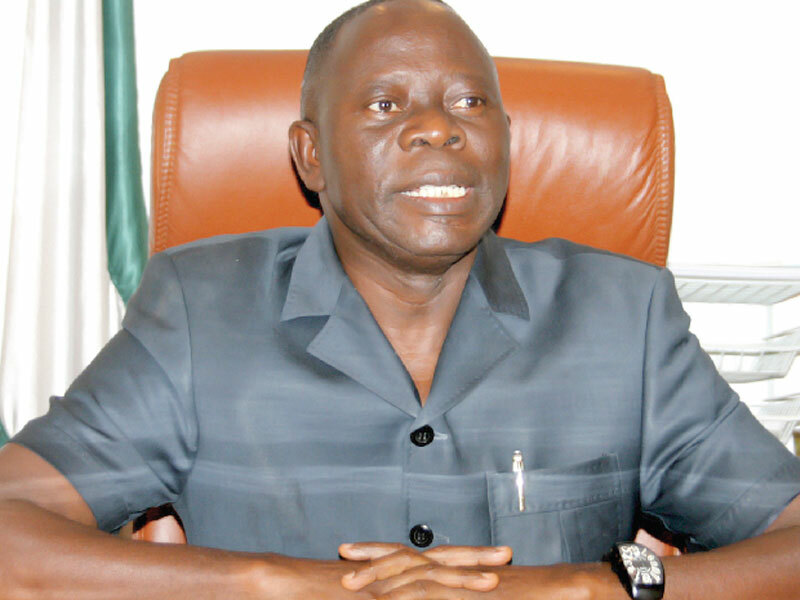 Oshiomhole challenged the Imo APC to be ready for a popularity contest during the primaries. “All of you have agreed you are popular, so we may have to adopt the direct primaries mode so that all the aspirants will go and test their popularities,” he said. Speaking at the peace meeting he held with the factions at the early hours of Thursday, Oshiomhole said Governor Okorocha was the leader of the party in the state, adding that he will not allow anybody “to take him for granted or rubbish his personality.” Speaker of the Imo State House of Assembly, Hon. Acho Ihim, led the governor’s group while Senator Uzodinma led the other group. The APC boss who described the first congresses held in Imo State under the Chief John Oyegun-led administration as a fraud, stressed the need for the warring members to sheath their sword in the interest of the party. He said the essence of the meeting was to seek equity and justice. “I respect Governor Rochas because he is one governor that fought to ensure we have APC in Imo State. But now more people are joining the party, the House has gotten bigger, we need peace in Imo State and I am urging you people to reconcile and harmonise. “I suggested a formula to the governor. It is not right that under my watch a faction of our members are wiped out. “If we don’t work together it will weaken our party and that is why I am suggesting 55 per cent to the governor’s group and 45 per cent to Senator Uzodinma’s group. Some people are speaking law but I want to win election in Imo State not court cases,” he said. “That is why we have chosen not to talk about the law but coexistence. Courts don’t give peace, they give judgment. We should talk less about power and talk more of peace. Everybody matters in this business. It can be dangerous to take one for granted. Don’t ever take one another for granted on the day of election and anyone of us who have not learnt from former President Jonathan’s mistake is not a politician. So we must all swallow our pride and embrace peace for the sake of the party,” he said.